BALTIMORE, Md. Northrop Grumman engineers are showcasing three variants of protected low-cost terminals (LCTs) at MILCOM 2014 at the Baltimore Convention Center this week. On display at their booth -- No. 403 -- are Protected communications on the move (P-COTM) terminals, airborne terminals, and TCS Protected ULTRA terminals. All are designed to provide rapid, jam-resistant connectivity for tactical missions at the same price point as unprotected military communication terminals. The P-COTM terminals are rugged with low-profile vehicle antennas that address unmet, near-term requirements to expand Army communication networks. The terminals are critical beyond-line-of-sight nodes that enable protected connectivity through Milstar and Advanced Extremely High Frequency (AEHF) satellites. The airborne terminals are an extension of the hardware and software of P-COTM targeted for special operations aircraft. The terminals are readily extendable into other manned and unmanned applications and are scheduled to be demonstrated next year. TCS Protected ULTRA terminals are housed in airline-checkable transit cases that can be set up within 10 minutes to support modular quick-change feeds and upgrade kits. The terminals are much smaller and lighter than current protected communication alternatives. 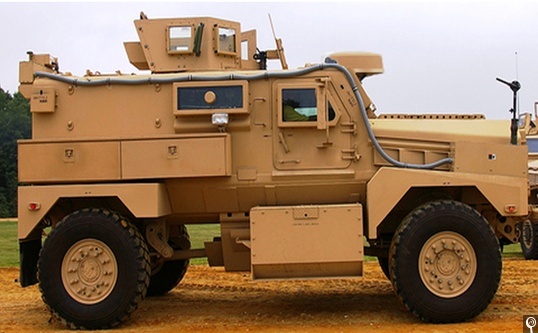 The LCT variants are a result of a joint investment by Northrop Grumman, Lockheed Martin, and TeleCommunication Systems to provide secure, assured command and control to the tactical warfighter.